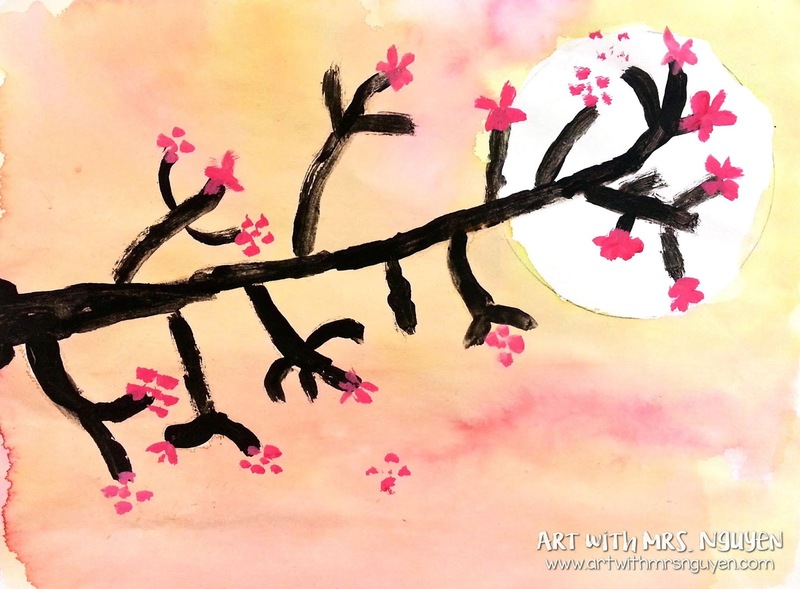 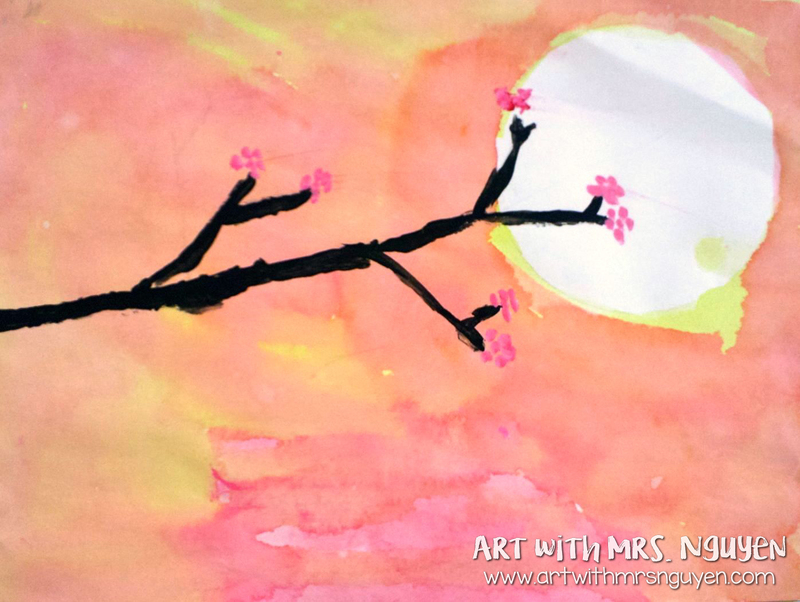 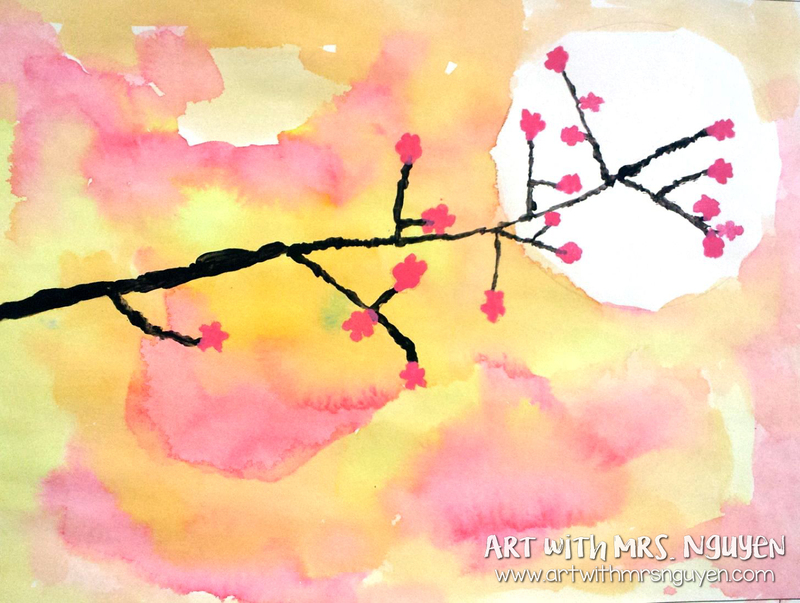 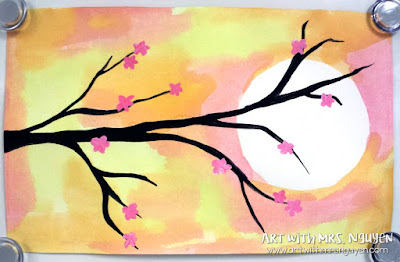 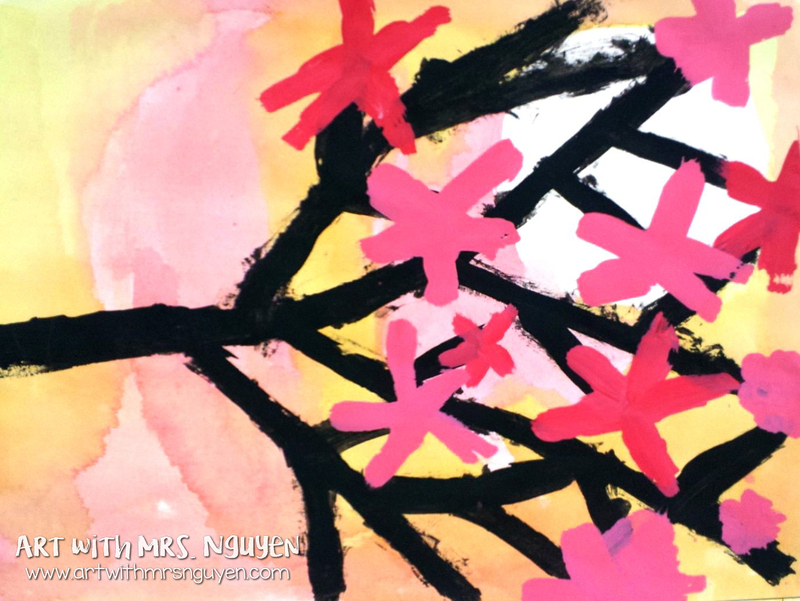 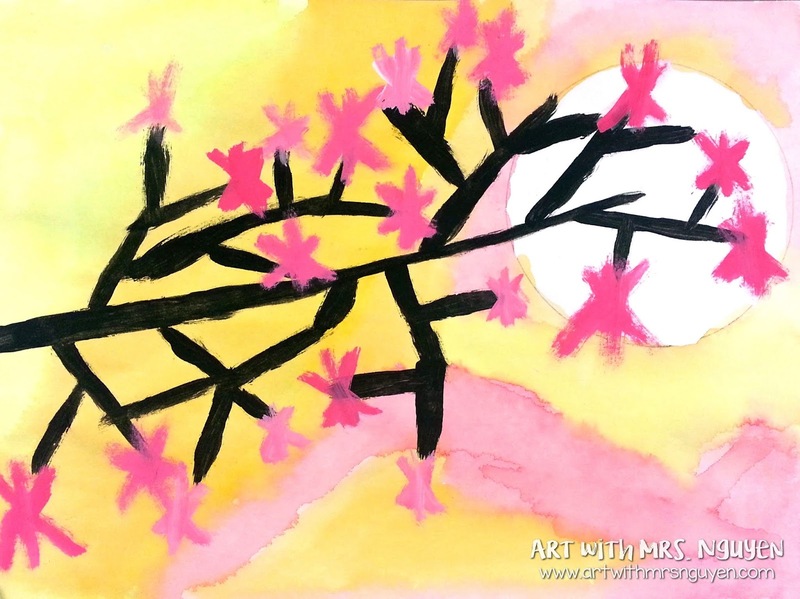 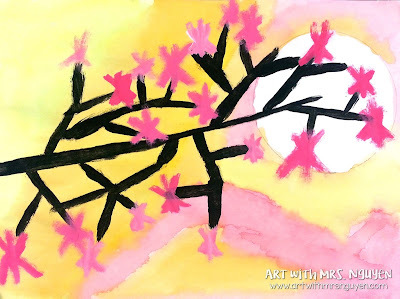 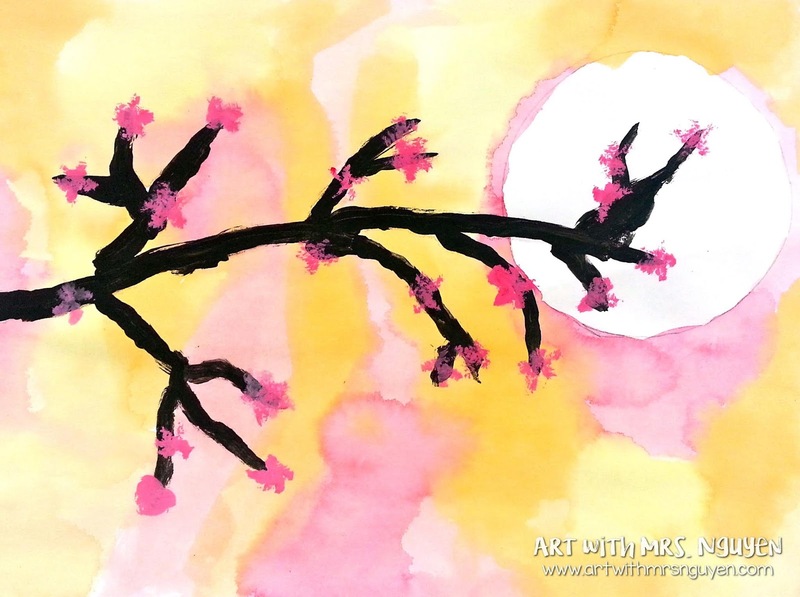 3rd graders have been working on their artome projects - and this time they're making Japanese cherry blossom paintings! I've seen this lesson a million times over on Pinterest.. and decided to give it a whirl (I believe it originated from A Faithful Attempt). 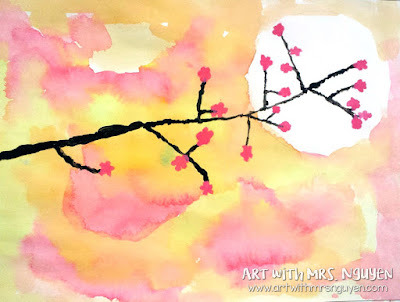 We began by looking at a powerpoint that I put together that contained a ton of images of cherry blossoms, a little background on Hanami (a traditional Japanese custom of enjoying the cherry blossoms in bloom) and the 'National Cherry Blossom Festival' (an American festival held in Washington D.C. in remembrance of the occasions in which Japan gave the United States thousands of cherry blossom trees as a symbol of friendship). 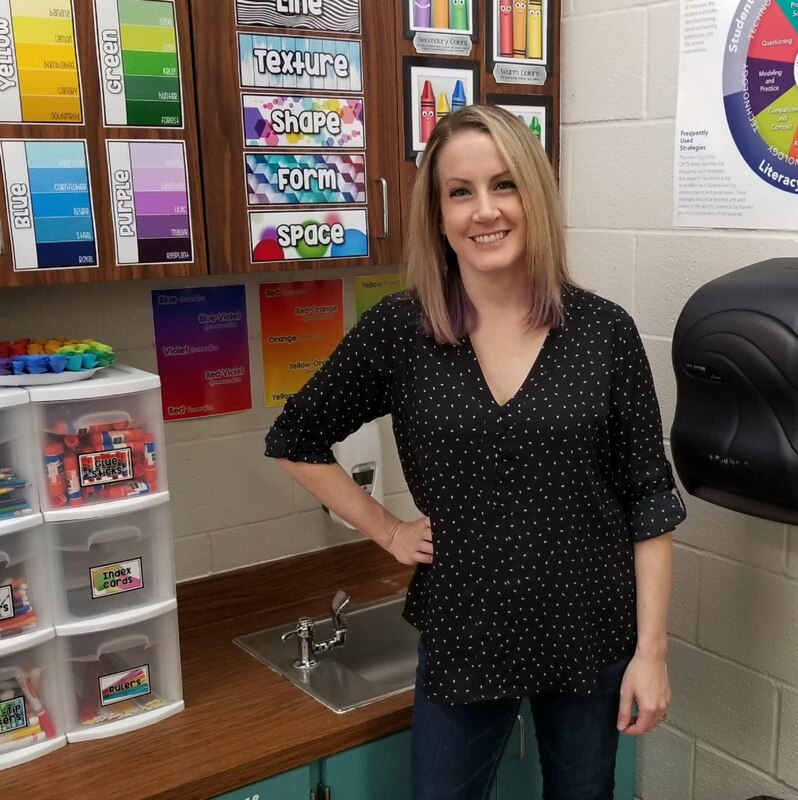 Students started their art by tracing a circle shape onto their papers with a pencil, and then using liquid watercolors to paint the area around the circle (they could choose either a warm or cool color scheme). 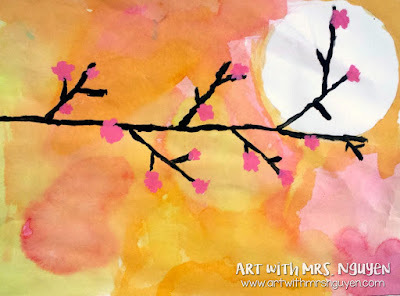 The next day they painted in their tree branch with tempera paint. 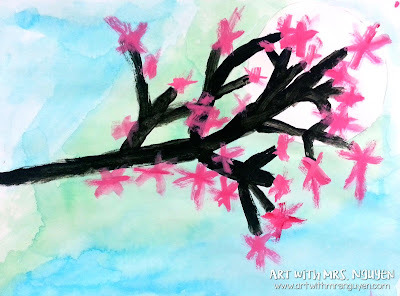 Then finally on the third day, they painted their blossoms (making sure that each blossom had 5 petals!) with tempera paint. 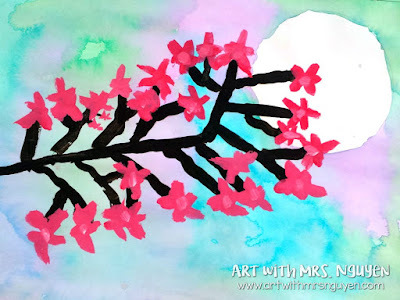 During our spare time (after painting branches on day two) we also created some kirigami cherry blossoms out of some extra scrapbooking paper I had.